Our gluten free lamb recipes provide gluten free meals for all occasions. Whether you are looking for a dish for a regular family meal or to entertain friends at a dinner party our gluten free lamb recipes are here to help. Ideally made with leftover meat and delicious made with chicken (as seen in the photo). 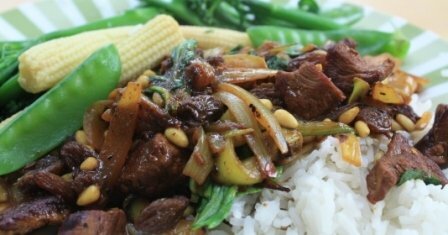 This is one of our favourite gluten free lamb recipes. Try it here. 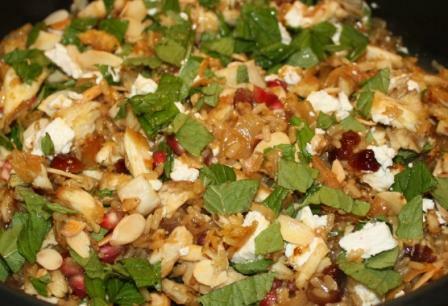 Made with figs, pomegranate, feta and almonds the flavours and textures blend beautifully together. 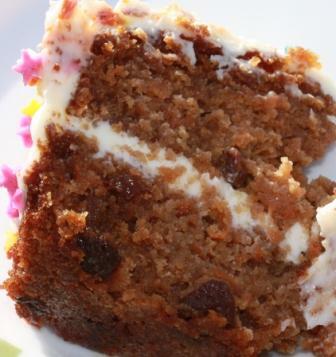 A sophisticated gluten free meal that looks stunning, ideal for a dinner party or as a special treat for a family meal. 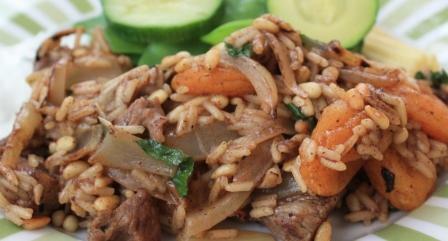 Put this Gluten Free Turkish Lamb Pilau Recipe on your list of great gluten free recipes for a family meal. As a regular weekday meal it is easy to make (all in one pot) and delicious all year round. This gluten free Moroccan lamb pan fry recipe makes a very satisfying gluten free meal. A quick, one-pan dish made with diced lamb, raisins and pine nuts, spiced with turmeric, cumin and coriander. Delicious gluten free kheema curry recipe. Fresh ginger and coriander with ground lamb or beef in a spicy tomato sauce. This will quickly become a favorite.